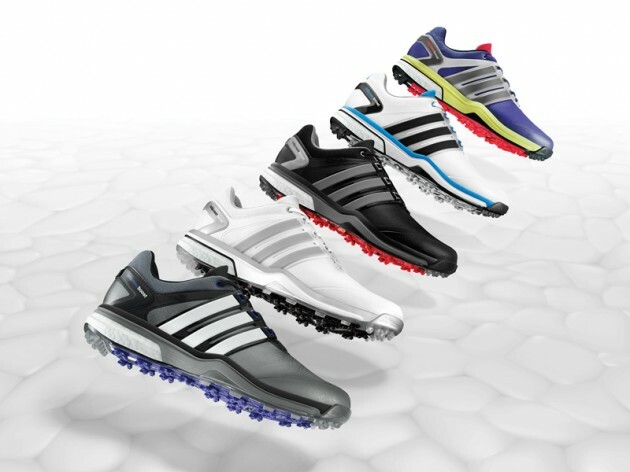 Featuring an innovative new cushioning technology, the all-new adidas adipower Boost golf shoe (for both men and women) is set to revolutionize the golf shoe market. Boost technology is designed to deliver maximum energy return, responsiveness, and unparalleled comfort. The foam cushioning is comprised of thousands of TPU (Thermoplastic Polyurethane) energy capsules fused together by way of a proprietary high pressure steam molding process. At their core, these capsules are the essence of the innovation – its function is storing and releasing energy efficiently throughout the swing and delivering maximum energy return as athletes perform. Jason Day, adidas Golf brand ambassador and #4 in the current Official World Golf Ranking (as of 2/26/25), was first introduced to the shoe during testing in 2014, where he raved about the footwear’s aesthetic appearance, comfort and performance attributes. Now available, the men’s adidas adipower Boost golf shoe is available in four color ways, while the women’s adidas adipower Boost golf shoe is offered in two color ways. Also available for both men and women is the adidas adipower sport Boost golf shoe, built on the iconic supernova running shoe and utilizing many of the same design and fabrication elements as adipower Boost in a streamlined, spikeless design with strategically-placed adiwear traction. Want to learn about the clubs Jason is playing? Check out what we have to say about the TaylorMade R15 driver.